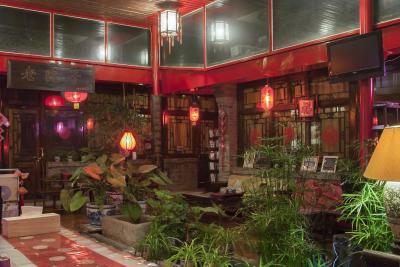 Lock in a great price for The Great Wall Courtyard Hostel – rated 8.3 by recent guests! The owner was amazingly nice and helpful. He helped us book a driver to visit the region and find the local spots to mingle with the villages and share in their local culture. 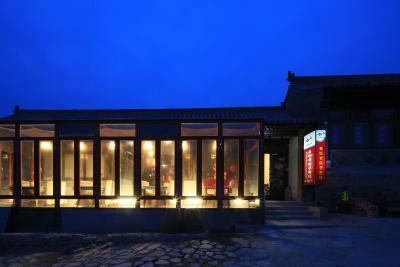 Really beautiful place to explore through villages and mountains, right by the Great Wall. 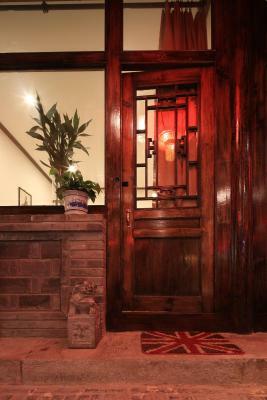 The owner is incredibly hospitable, and attentive to her guests' needs. From the moment we got there, she ensured we were comfortable and satisfied with our accommodation and offered us food to eat. 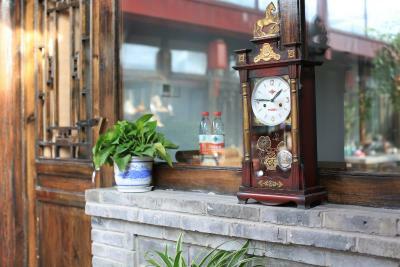 During the day, she offered us tea and the restaurant makes delicious traditional Chinese meals for what I think was a reasonable price. 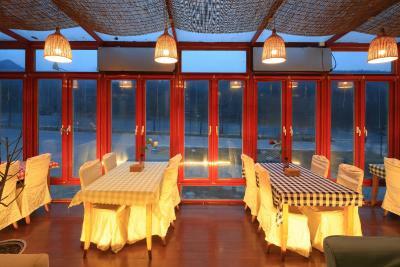 The fact that a traditional Chinese breakfast is included in the nightly rate was a definite plus! I'll add that in the fall/winter it is pretty cold in the common areas and while there is a heater in the room, it still could be a little chilly- because I had read other reviews that said this, I came prepared for the weather, and thus the chilly atmosphere was all just part of the experience. 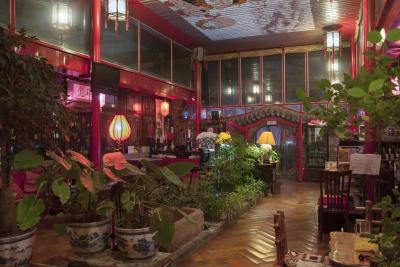 Overall, the hostel exceeded my expectations and I'll definitely be coming back here. Another important note - she has a friendly schnauzer, who is very cute and well trained! 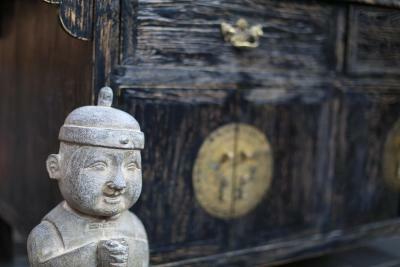 He/she may walk up to greet you, but is otherwise kept away from guests. 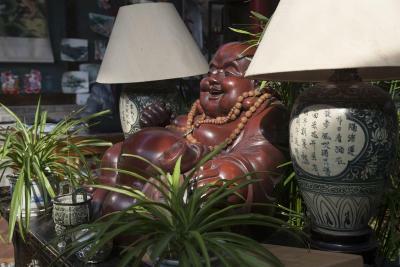 Mountain, the owner, was very nice and willing to fulfill your request immediately. Not to mention, his staffs were very helpful. 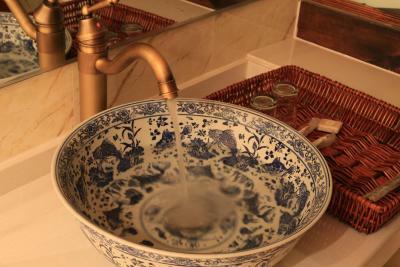 The owners are great hosts and the place is beautiful. 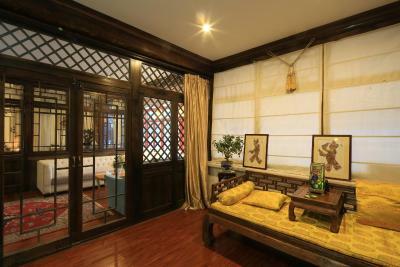 It is located very close to train station and within walking distance of Great Wall. 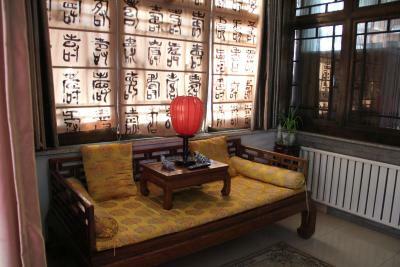 It was a good location to the wall, and a great location for the train ride back to Beijing. Staff where friendly. good snack food. 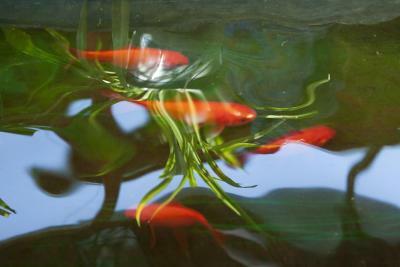 It’s a fabulous experience staying with the family who owns the property. 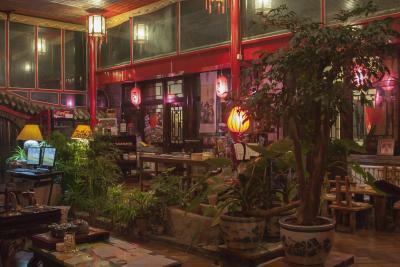 Very friendly and very helpful, can speak moderately good English, delicious homemade fresh noodle soup for dinner, and an exceptionally quiet place for a good rest and recharge away from the busy city life!! Will come back again and highly recommend to friends! 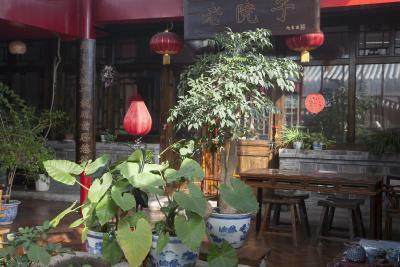 The courtyard style was nice, though it was a bit too crowded with furniture. The hotel was super close to the Great Wall. Staff were lovely. 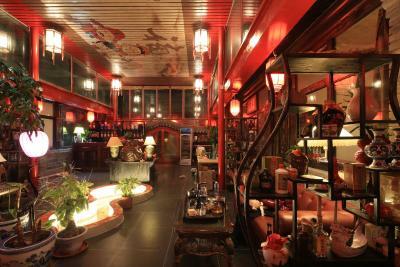 This hotel is an amazing little place! 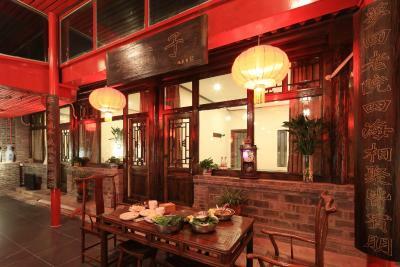 The staff were friendly and attentive. They didn’t speak English but we managed using translate apps. The food was delicious, some of the best we ate in the whole trip! 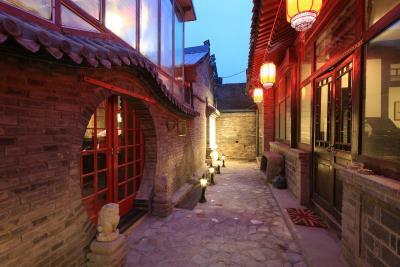 The Great Wall Courtyard Hostel is just 1,650 feet from the Badaling Great Wall. 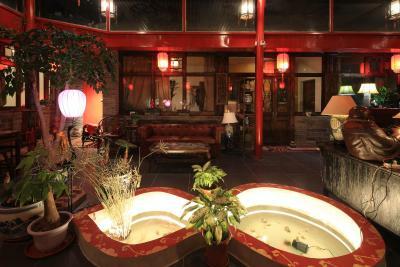 It offers a business center with fax and photocopying services, and free on-site parking. 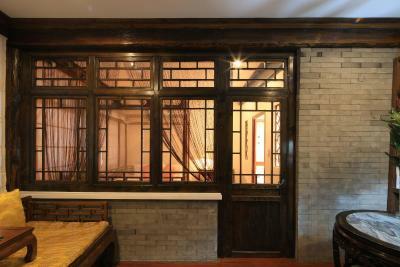 The simple rooms at the Great Wall Courtyard feature traditional Ming and Qing Dynasty Si-He-Yuan decor. 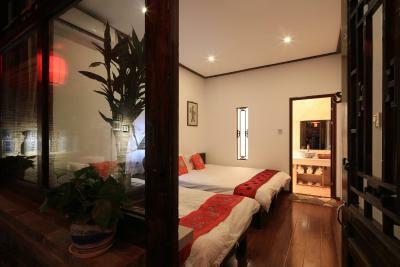 They are all equipped with private bathrooms, free Wi-Fi and air conditioning. Room service is also available. 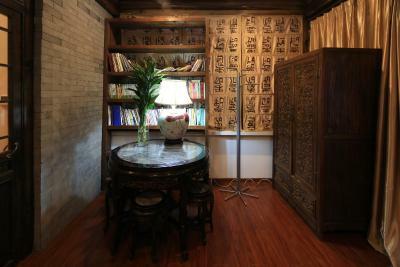 A tour desk is conveniently located within the Great Wall Hostel, as are bicycle and car rental facilities. 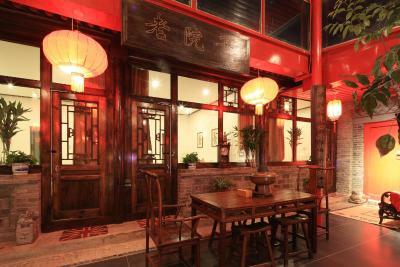 The Great Wall restaurant serves a mix of Chinese and Western cuisines. 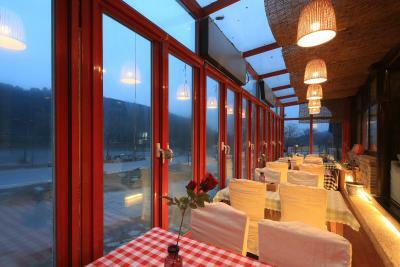 For casual, outdoor dining there are barbecue facilities. 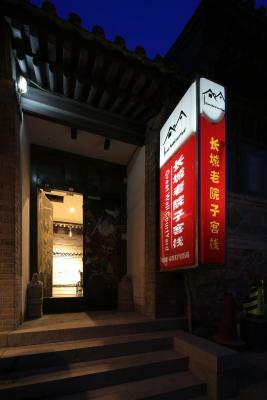 When would you like to stay at The Great Wall Courtyard Hostel? 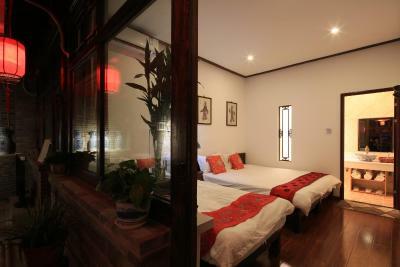 This twin room has a mini-bar, microwave and tile/marble floor. 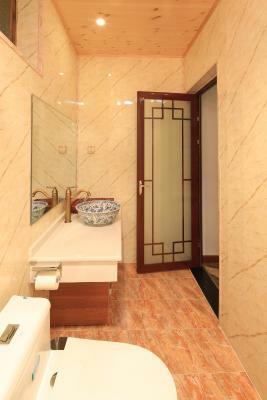 This double room features a microwave, tile/marble floor and dining area. 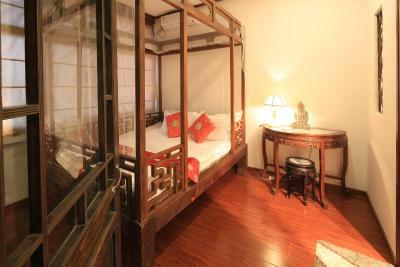 Spacious suite with a separate living room, private balcony and a tea and coffee maker. 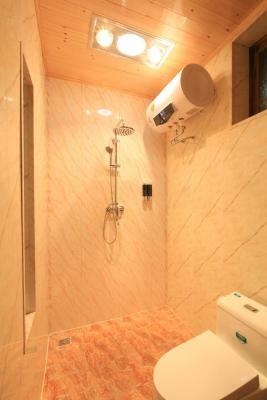 This family room features a tile/marble floor, electric kettle and washing machine. 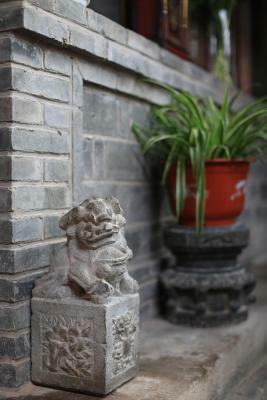 House Rules The Great Wall Courtyard Hostel takes special requests – add in the next step! 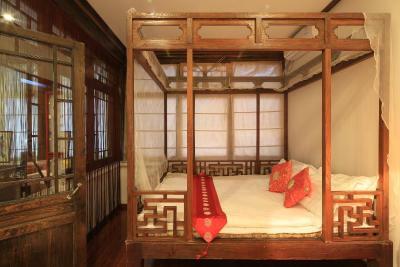 All older children or adults are charged CNY 85 per person per night for extra beds. 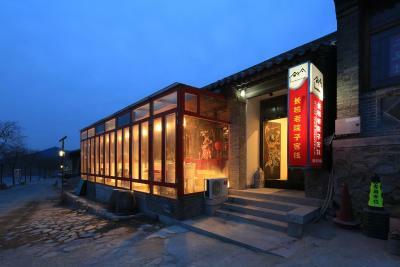 The Great Wall Courtyard Hostel accepts these cards and reserves the right to temporarily hold an amount prior to arrival. A little difficult to find for first timers but very responsive owner who spoke directly with the taxi driver to help find the way. Maybe a few more food options will be nice. It’s on a road which is under construction so quite dusty and busy. Had been hoping it would feel more like a small village location. Room was small - lucky we only had small backpacks. No closets or room to open a large suitcase. 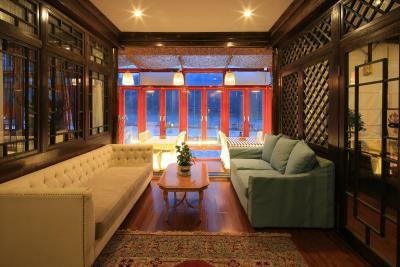 Only downside is that where the hotel is located at, the village is in major renovation due to the upcoming Olympics. 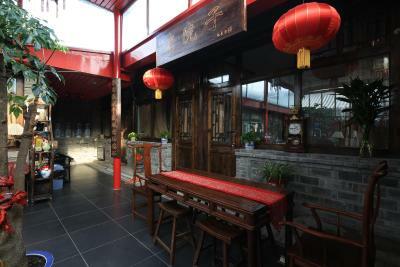 Kills of the charm of the place, but once its fully up and running, that village will be stunning and this hotel will be your best choice in the region. 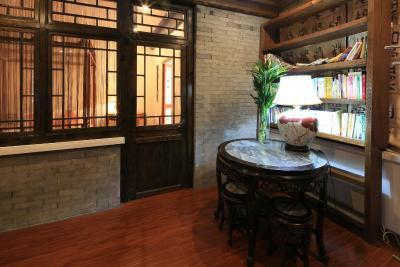 Currently there are big works in the village which makes it very dusty outside, difficult for sensitive people... but once inside the courtyard it is OK.
Keep in mind the courtyard area gets very cold in winter, but you can get cosy in your room. Atypical place. Lovely welcoming owners/managers. Quite close to train station and the Great Wall entrance. The breakfast was terrible but staff were friendly. 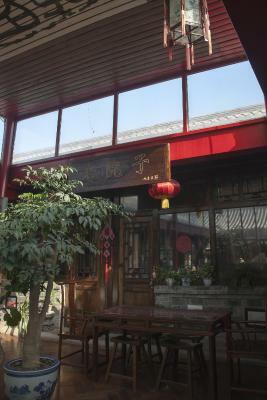 Typical building, very close to Badaling railway station and to the entrance for visiting the Great Wall Staff very helpful and nice Suggested! 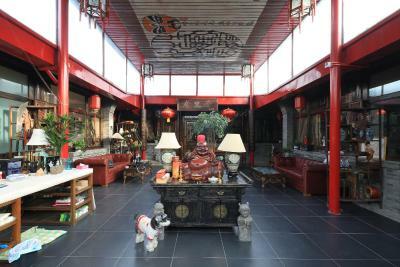 Very nice and helpful owners, beautiful and charming decoration of the whole place. 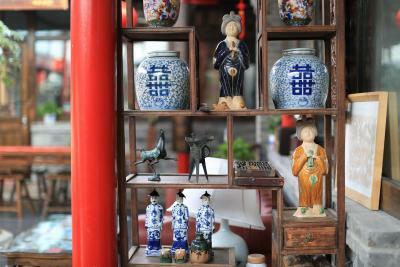 Gives a feel of old China. 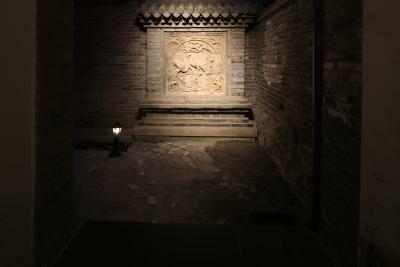 Only steps from Badaling entrance to the Great Wall. The owners were helpful and kind. 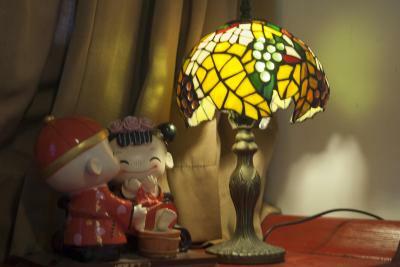 Vivi was a great host and she made my short stay there extremely comfortable. She helped me with driving instructions, made sure that I try the excellent green tea she had to offer and prepared a traditional Beijing breakfast which was simply amazing! 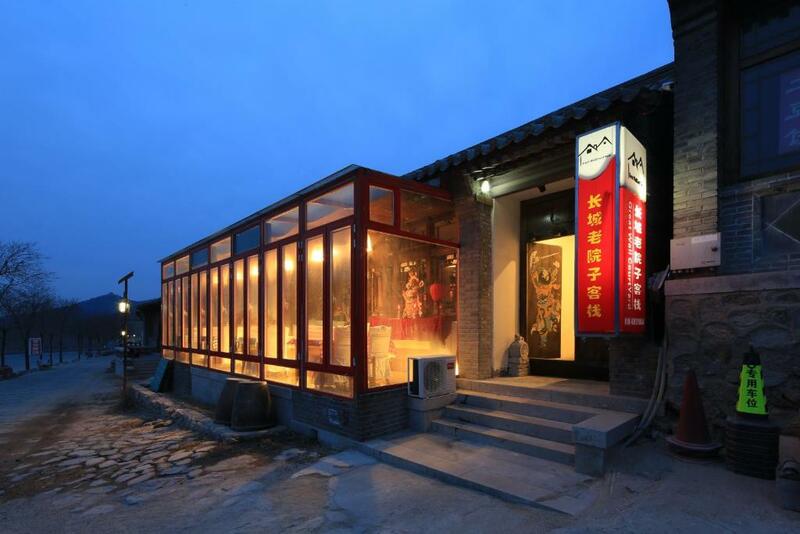 The property's proximity to the Great Wall made it the perfect location for my one-night stay.